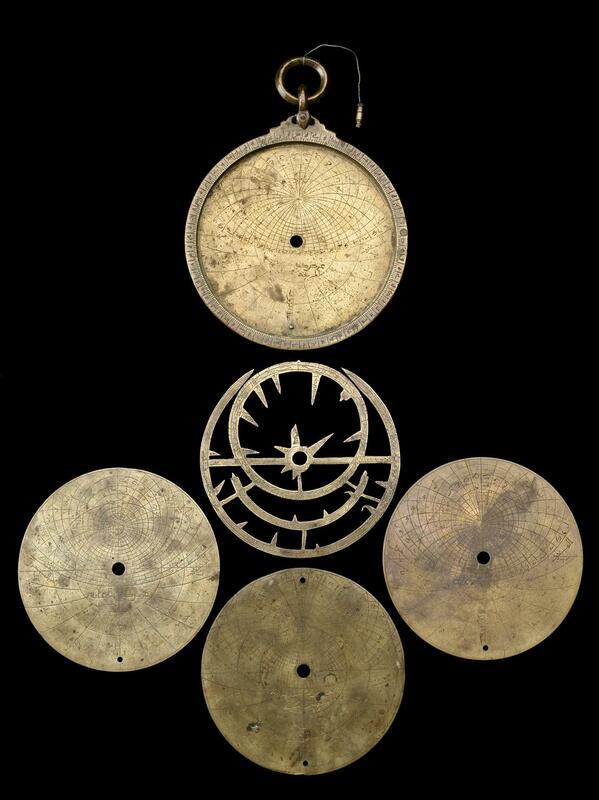 Brass Islamic planispheric astrolabe of Syrian origin with cursive & Kufic Arabic script, fitted with three latitude plates (28/31°, 36/39 ° & 30/42 ° - later 16th century? 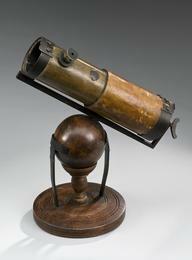 ), unsigned without date, 901-1100 CE. Latitude plate engraved on mater. 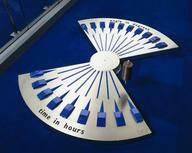 Fitted with later hexagonal nut and bolt. 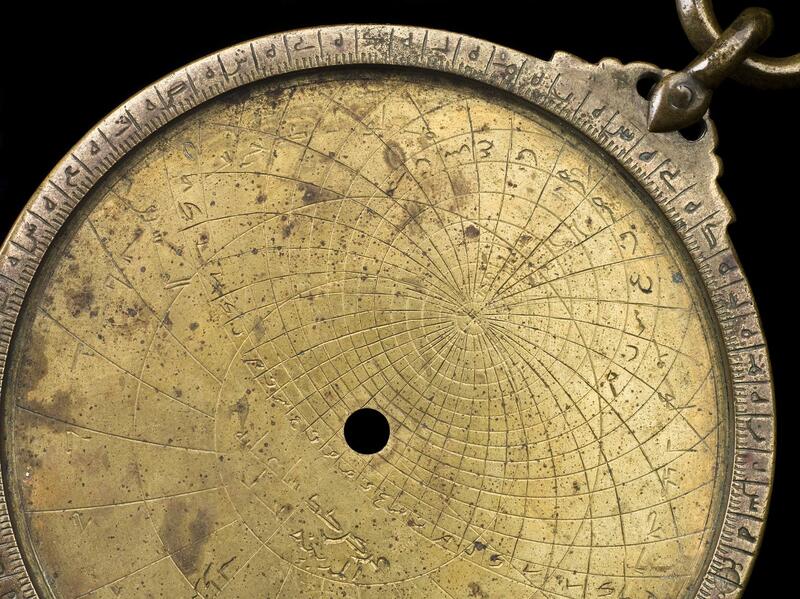 Made in ninth century, this unsigned brass Islamic astrolabe is from the Middle East and probably of Syrian origin. This front view shows the moveable fretwork plate called the rete that denotes star positions by straight tapering pointers. 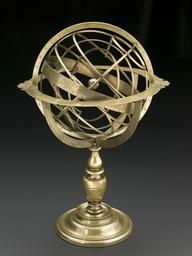 The astrolabe is in essence a model of the universe that an astronomer could hold in their hands. 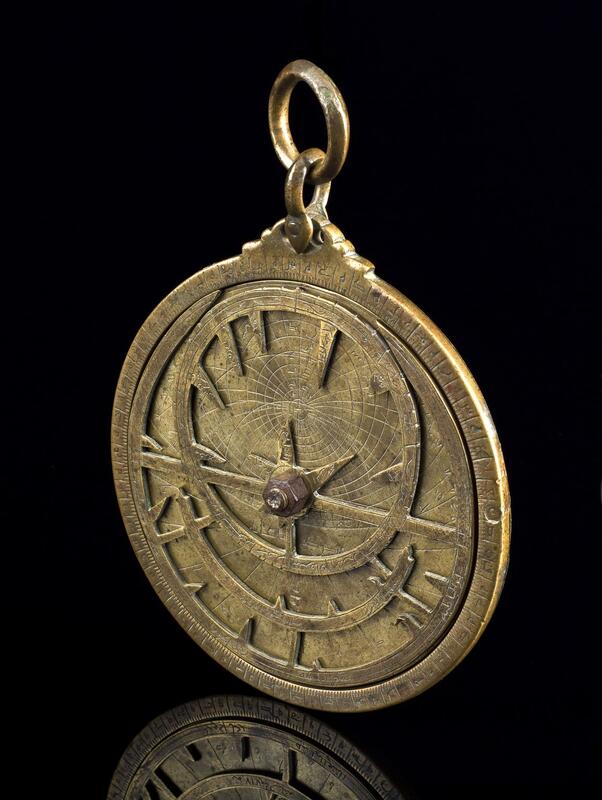 Popular in Medieval and Renaissance Europe, its many uses included timekeeping, astrology and surveying. 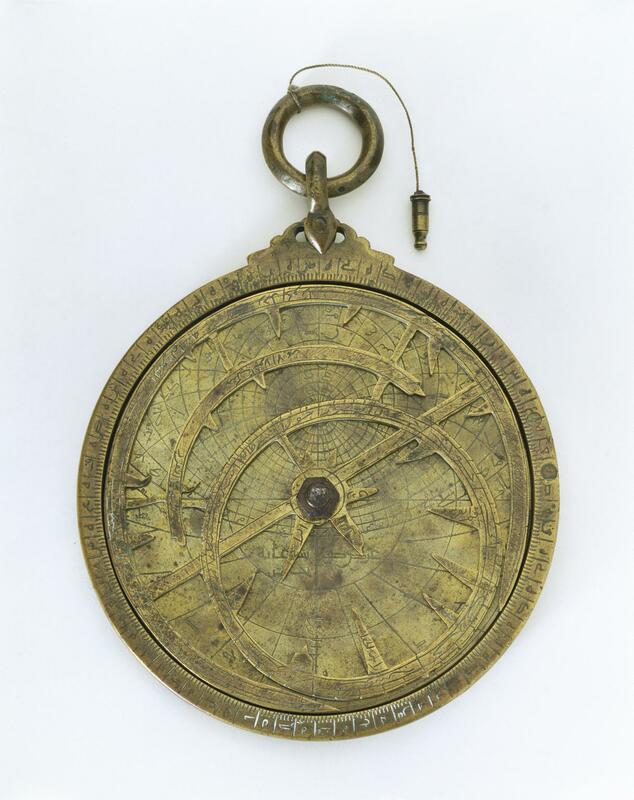 The astrolabe is a two-dimensional depiction of the heavens whose layout is achieved using the mathematical technique of stereographic projection. 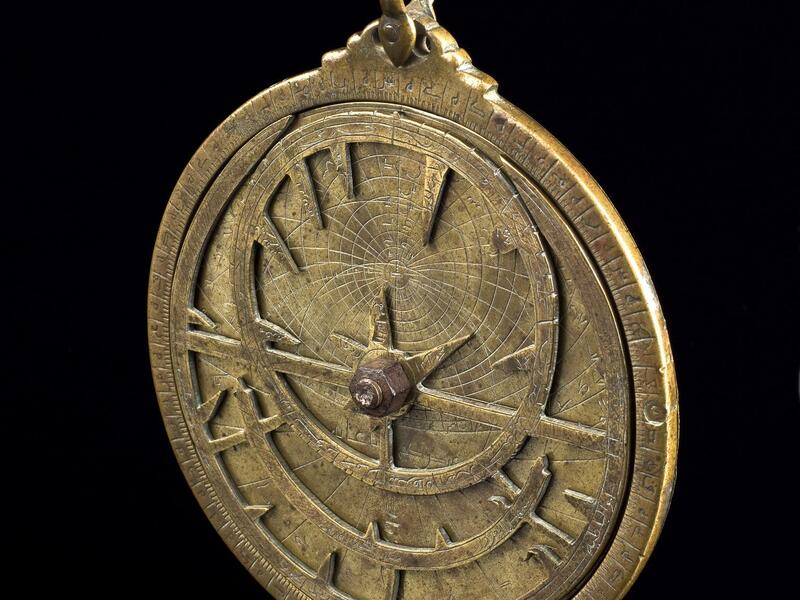 From its origins in the Ancient World, Islamic astronomers developed the astrolabe from where it spread to Europe.